Hours of fun to be had by your toddler! 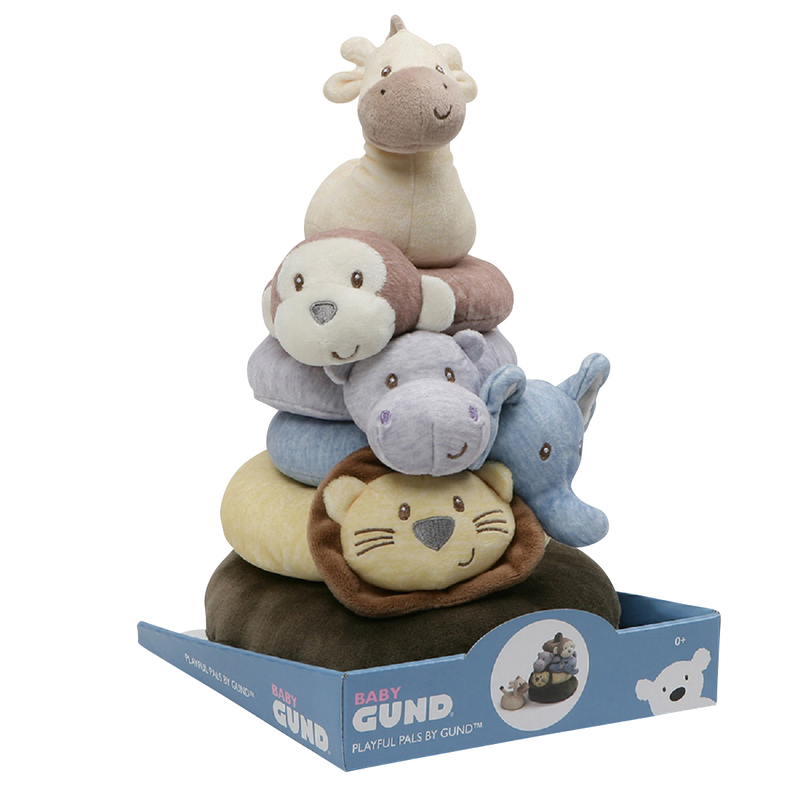 Five adorable animals to stack atop the pole of the base, made entirely of a cuddly, soft plush material and a giraffe rattle topper. Perfect for little hands! Makes a great Baptism or First Birthday Gift. My mom just sent this to me for my twins and it is the cutest thing I have ever seen! All of the pieces are made of plush so it's safe and keeps them occupied for a long time. I'm going to order one for my friend who just had a baby.